Garry — Do you think Daniel Imatorbhebhe will ever play meaning snaps for SC again? I love his character, playing potential and of course wish him the best… but he seems to be in injury purgatory. When, if ever, will he be back? I don’t know. It’s hard to imagine saying that but at this point you really have to question if it will happen or not. It’s been a year and a half since the original injury, he had a brief time when he tried to come back but the nerve issue wasn’t all the way back and the comeback didn’t stick. It’s such a shame because of how good he is and what a friend he could be to J.T. Daniels on the field. I think it has to do with commitment to the run game. Teams are loading up to stop the run and force a true freshman QB to try and beat them, sometime the SC coaches fight through that with play calling but more often than not they don’t, and we end up heavy on the pass. Arizona was the rare game when we didn’t. Garry, Do we have no one else who can play RT? The view from the cheap seats: This has to be coaching! While I can’t believe that Coach Callaway teaches them to grab the shirts of the guy who just beat them, what does he teach them as a lot of this looks like a lack of fundamentals? Jalen McKenzie is going to be a good one, and I think he’s the RT starter next year. Chuma is what he is right now, a senior who is usually a good pass protector but even Helton admitted he can get “handsy” at times and that draws penalties. Garry, what is your opinion of Daniels’ performance so far? After watching him with Mater Dei, I half expected him to pass like Kurt Warner and lead like Tom Brady (exaggerating to make a point). I didn’t think there would be much dropoff from Darnold except from a mobility standpoint. Obviously I jumped the gun a little bit. However, I think when you consider what’s been going on around him (coaching, play calling, poor blocking by the offensive line and others, inconsistency from the wide receivers , nothing from the TEs at all and not much of a running game), I think he has been excellent and will be a great one in the future if they can put a team around him. A lot of times it looks like JT Daniels against the world. What’s your take? Thanks. For a true freshman I think J.T. is doing just fine, in fact better than fine all things considered. I still think the best gift the coaches could give him is a consistent run game, and then he can sprinkle those deep passes in there for maximum effect. I would love to see him throwing the ball 25 times per game or so. I still think all of that is possible with this offense but the coaches are the ones who control the play calling and I would like to see them dictating the pace and flow more than we do now. If Tee and Helton aren’t going to commit to a decent running game then why don’t they just start throwing to the running backs? Helton talked often in spring and fall camp about how good the running backs are at catching the ball, and then we don’t throw to them. And they are good, and it would be a good way to get the ball in their hands. I would like to see it more. Ten catches for 89 yards. That’s the production from the USC TE position after 6 games. It averages to just under 2 catches for about 15 yards per game. USC has 10 times that in penalty yardage much of the time. On top of that, the blocking from the TE position has been embarrassing. The OL gets a lot of (well-deserved) criticism on this board for their efforts, but I think the TE blocking has been even worse. It seems like most replays of blown up running plays show a TE letting a defender run across his face into the offensive backfield almost untouched. So I have two question related to this. First, why is a TE even on the field? If they’re not going to catch the ball, and they’re not going to block, what is the point? Put a backup linemen in the game at TE (nobody is respecting the TE in the passing game anyway) or play an extra WR. USC’s offense is essentially playing with 10 guys much of the time. Second, I know we were all happy for Keary Colbert when he got the job. He’s a great Trojan and was a stud WR on some very good teams. But does there need to be some accountability here for the position coach? Good grief, Keary. This is a weekly train wreck at your position. There might be a reason why some programs don’t hire so many first-time coaches. I think there is a lot of merit to going 4 wides. #1, we have them. #2, it would force the defense to remove a linebacker in place of a defensive back (in which case it would be easier to run) or if they leave the linebacker in it should be a mismatch. Many on the board have raised concerns about Toa’s low snaps, has there been anything afoot about replacing him? Helton has been very strong about Toa remaining the center, “Toa is our center” was the statement he made last week. Sad to see our “superhero” Porter Gustin end his career with an injury. After his surgery, can you give an update on his prognosis? Also, with all the injuries he’s suffered in the last couple years, do you think his draft position suffers (teams wary of taking an injury prone player)? 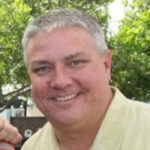 He had the surgery on Wednesday, I’m guessing Helton will have an update for the media after Thursday’s practice. Unfortunately I do think the injuries will have an impact on his draft stock. He is scheduled to come back from rehab right around the time of the combine so we’ll see how he works out (probably well) but he will be poked and prodded like never before as they check out all his issues. The scuttlebutt among the media at practice the other day was 2nd round before, 4th or 5th now but of course there is a long way to go before then. With Porter now gone for the season along with his 6.5 sacks accounting for half of our total, who do you see stepping up to generate more pressure on the opposing QB? Why do you think the defense, aside from Gustin has been unable to generate any type of pass rush so far this season? My big worry right now because we just haven’t seen it from anyone else. I’m going to look first at his position with Christian Rector and Hunter Echols. Rector produced last year in the spot so hopefully we can go to that well again, and the coaches sure seem to think Echols is on the verge of something with his pass rush skills, and I’m not saying I disagree with them. He has the skills, now just need to put it together. I’m also not going to rule out Palaie when he comes back, there is too much in his game to think he couldn’t help put some pressure on the QB. One of the more impressive initial first impressions we’ve had of a defensive player in recent years. It’s not like it was a fluke either, that’s who he is. And Solomon Tuliaupupu is a lot like him. 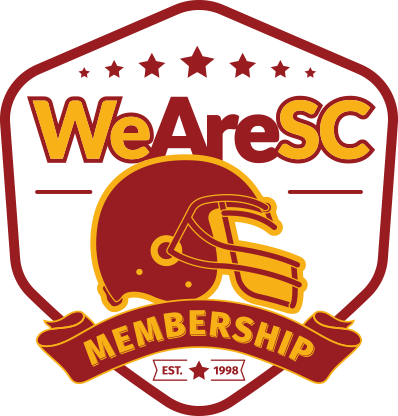 Garry, we know that there is no wall of separation between players and fan sites such as WeAreSC. How are the players handling the constant calls for Helton to be fired and some pretty personal criticisms of some of the players as well? Thank you. 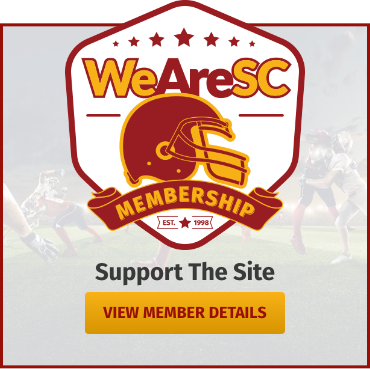 By and large it doesn’t impact them as much as you might think because they are in their own USC football world planning and working toward the next game, and trying to be college students. Don’t get me wrong, they hear it, you can’t help but hear it. And the players want to do well by their coaches, especially those who Helton recruited. Garry. Thanks for your work! So much concern is given to “how poorly SC is ‘coached'”. You are at practice daily/regularly, can you shed some light on the “coaching” you observe? From your experienced perspective how does the actual “coaching” measure up to previous staffs? To me the biggest difference that I’ve seen is how differently they are coached. Helton calls his staff teachers, and there is a lot of teaching done as opposed to emotionally coaching football the way Carroll’s staff used to do. Carroll told his coaches that they were the ones responsible for setting the tone in practice, from the first bag drill to the scrimmages, and guys like Orgeron, Davis, Polamalu and Norton took that seriously. Can we get an injury update? Too many critical needs out at the moment. The big ones are on defense. Cameron Smith (hamstring) and Palaie Gaoteote (concussion) are out but could be cleared in time for this weekend. Brandon Pili has a shoulder injury, as does Olaijah Griffin. If we can get those back it would go a long way. Why are reporters so hesitant to ask Coach Helton tough questions, especially the ones that raise them or complain about issues in media forms like podcast and radio. 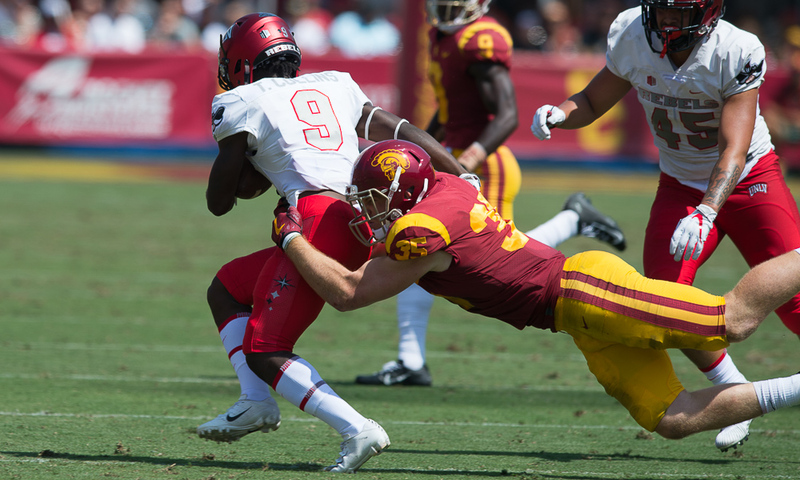 For example there was a lot of indignation by reporter over how Porter Gustin was left on the Coliseum field with a broken ankle with no trainers around – but no reporter at the Tuesday post practice media session asked Helton about how this could have been allowed to happen. Nor questions about all the penalties again after a week of focus by the coaching staff, or why a player who gets a personal foul is not immediately brought off the field to have a chat with the Head Coach. I’m not sure who the reporter was who got indignant over Gustin. The penalties were definitely asked about, in fact yesterday, and Helton talked about how the right side of the line (Chuma) got handsy, and how there were some penalties that he wouldn’t have told the player to do anything different. Last week he gave a breakdown of his three different kind of penalties, I’m not sure what kind of explanation it gave but he gave a detailed one. Helton has definitely become more vague and guarded with his answers over the years as a head coach, he used to be more open but now he is experienced enough to have his talking points ready to deflect with numbers. 115-58 Win Loss coaching record. 11-1 bowl record. One National Championship (2008). Is Kyle David Whittingham underrated as a Head coach? I think he’s a terrific head coach and I have a lot of respect for what he’s done to take Utah from a nice MWC team to a solid Pac-12 team. They always have solid line play (our best DL since Leonard was one of their reserves) and usually have a strong running game. Garry- what’s your opinion on Ivan Lewis and our S&C program? I think Ivan is producing the athletes that Clay Helton wants, otherwise he probably wouldn’t have a job. I do know Clay does want bigger OL and that is a position I wish he would have recruited in bigger numbers in recent years. From my perspective Chris has been enamored with Florida for a while, and if that’s where he wants to go then go ahead and go. He was once committed to UCLA, then us, and now it will be another school. I honestly wish for each recruit to find the one school, I think it would be a very hard process to see the good in every school, how do you make a choice? I would have committed to SC, no questions asked, and wouldn’t have wavered. Not the case with Chris. Nor am I worried about Jason Rodriguez, not after reading the post his dad made about how his parents encouraged him to make the trip. It’s called doing your due diligence and looking at all your options. Jason didn’t want to take anymore visits, my wife and I MADE him take them. We want him to learn the value of looking at options before making big decisions, to not be impulsive later on in life. This recruiting has given us the perfect tool to instill that in him. It’s ok to buy the first car you fall in love with, but look at two or three more before signing the documents. Make sense? UCLA has the academic interests of our son, as does USC, (Bio Genetics), and has no bearing on their wins on the field. We have to be parents first, we can be fans of USC later. Also, we as a family communicated this with USC, they were open and completely supportive of our actions, the recruiters and coaches were understanding and kind. No pressures or bad vibes, which is the center point of Coach Heltons motto, “Faith, Family, Football”. 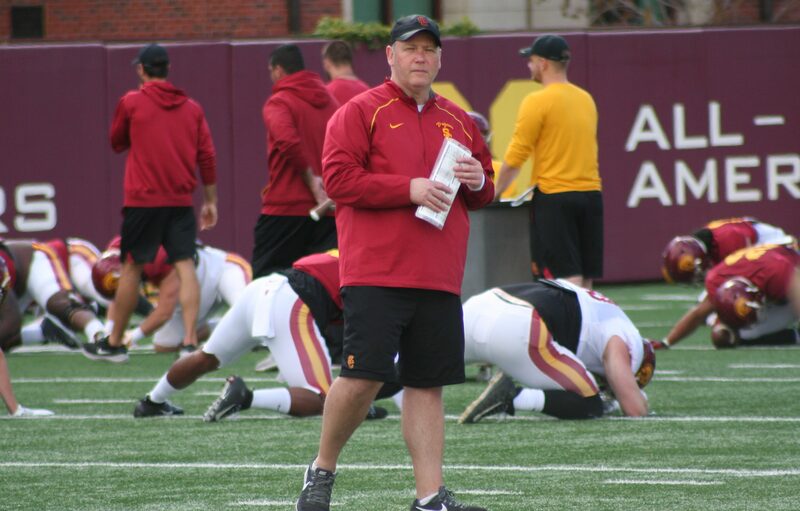 A lot of people bash Coach Helton in these threads, I can tell you from personal experience he’s a great man….